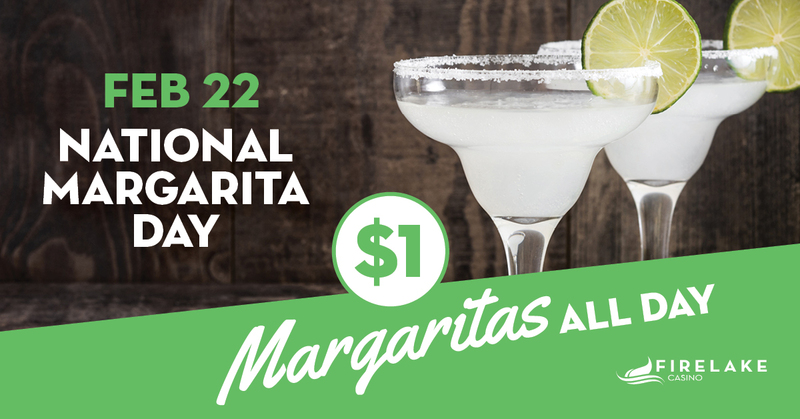 Come out to FireLake Casino and celebrate National Margarita Day with $1 margaritas all day. Plus, Come out to Hot Slots Fridays! Receive a $5 Match Play on Fridays from noon to 1pm, and another chance to recieve a $5 Match Play from 5pm to 6pm!